I finally got out of Azsuna today. I say that, it wasn’t that bad… I enjoyed the spectral dragons and the cool mana ponds and the pretty horses. I’m looking forward to exploring somewhere new, after all the withered decaying things, I hope it’ll be interesting! Mr B: altoholism strikes again and I’m now levelling the Shaman. I really wasn’t getting on with the Demon Hunter and Hunter was boring, so I’ve respecced enhancement and we’ll see how this goes. I wasn’t too impressed with doing the opening scenarios again, but I made pretty good progress into level 102 today. It’s a shame we can’t play together at the moment (only one PC!) as we are around the same level for a change. Usually I’m at max and he’s levelling another alt, so it’s a novelty. I suppose it does save us arguing!! Welcome to the eighth blog post in the “Warcraft Community’s Top Things To Do Before WoD” series! I’m not the greatest fan of levelling (says she with 10 level 90’s), but here we go anyway with some fun quest suggestions! Lorelei has even written a whole chapter about her favourite quests! Read them here. Some people *cough* not us *cough* are altoholics and clearly enjoy trying new characters/race combinations. It sounds obvious, but if you haven’t tried the opposite faction or a certain class or even another server, this is the time to try. Instead of questing, try levelling through PvP or dungeons. Little changes to your routine can be invigorating. Promise. Exactly what it says on the tin… you’ve got to be insane to try it. However, the rewards are great if you dare. I haven’t yet started it, but you can get lots of info here. You can’t possibly complain about having nothing to do if you haven’t yet completed this… I suppose. I’ve tried this sooooo many times on my Warlock. I’ve come to the conclusion that my skill and gear level is lacking and it’ll have to wait until I become more patient, or one of them improves. However, the effect is really cool and it’s really worth perseverance. If you haven’t got a Warlock and fancy the challenge, perhaps this is a good candidate for your level 90 boost. I won’t regurgitate the Internet, as all the info you need can be found here. I can recommend a YouTube guide by Sparkuggz which is below. If you have tried this and need some encouragement to continue, we have a couple of friends who managed to complete it below 500 ilvl. I did this, bane of my life, but if you’re an achievement hunter or lore enthusiast, this is right up your street. YES, it’s a time grind, but it’s not the worst I can think of and you get a nice title. Gogogo! I love the Brawler’s Guild, it’s not a secret. In itself, there’s no questing however, certain quest lines and boss kills in Pandaria grant you access to a quest in the Brawler’s Guild which award you gold and a special vanity item… and ultimately a meta achievement for killing them all. They range in level and skill, but they’re really fun and worth seeking out if you’ve already finished with the ranks. Try Grandpa Grumplefloot to start, he’s awesome. 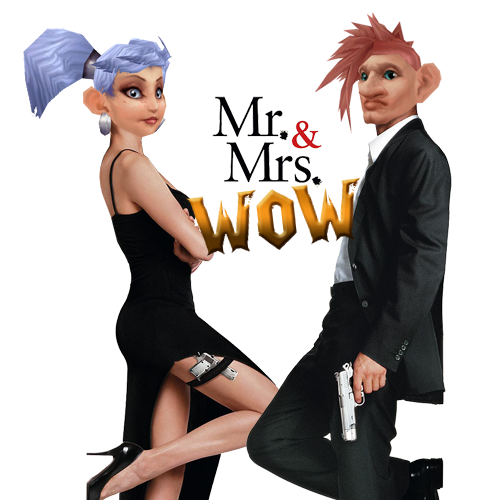 @Schmonzh from Twitter suggested this and we agree – it’s a really fun quest. If you’ve levelled through Badlands you’ll know it well: several NPCs tell you their account of the day Deathwing came and you relive the story through them. It is fantastically silly, but punching him in the face is fab. 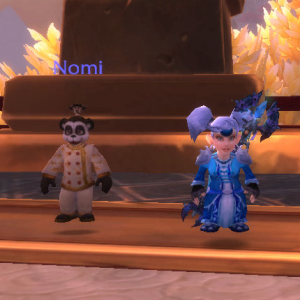 This adorable creature is part of the Halfhill daily and rep quests. Once you’ve finished To Be A Master, you can buy the Cooking School Bell with 100 tokens and the daily quests unlock. I’ve written about the process in a bit more detail here. Not only do you feel wise when you impart your knowledge upon your apprentice, but you also get free stuff and it’s REALLY easy. In fact, I’m just going to put the whole of the Halfhill quests and experience here. I love the place. You can read more about my enchantment with the area here. Click here for all of the suggestions submitted via Twitter. There’s some excellent quest lines to pursue! I had been “Master of the Ways” for a long time before I read up on what to do afterwards. To be honest, after I had grinded all the achievements and Best Friends with all Halfhill characters, I was so pleased to be done with dailies I didn’t fancy any more! …and upon completion you get the achievement: Now I Am The Master. You also get to keep what he cooks, which I found really useful for buff food. 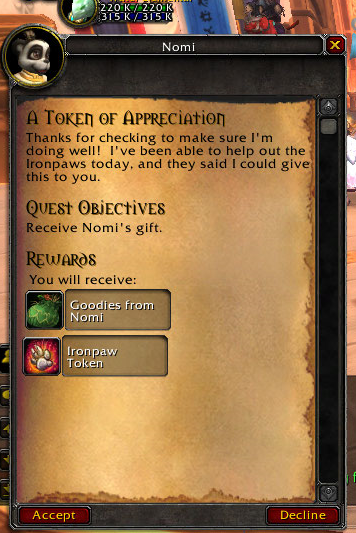 In your bag of goodies, you get an Ironpaw token plus some food: from banquets to level 300 buff food. It’ll take you a while to earn back your initial investment, but I think it’s definitely worth it – for the achievement points if anything else. It’s such an easy grind really, takes 3minutes a day. Besides, he’s kind of cute…!